Barnsley assistant manager Andreas Winkler has revealed Millwall's offer for Tom Bradshaw was too good to turn down. The striker finalised his move to the Championship club on Thursday, after agreeing terms on a loan deal which will become permanent in January. After lodging several unsuccessful bids over the summer, the Lions upped their offer to a club-record fee, believed to be £1million rising to £1.25million. With Bradshaw, who cost the Reds a reported £600,000 two years ago, out of contract in the summer and wanting to move south for personal reasons, Winkler said it was hard for the club to say no. “It was a surprise for us on Tuesday when we heard, but the last word is always with the player,” the German said. “Tom had a big wish, it's a new future for him and his family. “It was a lot of money, and also the vision of Tom to change. The contract only had 12 months left, that is how professional football is. The proceeds of the sale will be invested into reinforcements, with two possibly arriving before next week's loan window. A club statement added: "The club have been clear in their stance throughout the entire summer that our number one aim is promotion from Sky Bet League One. 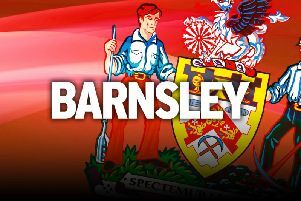 "The Club have fought as hard as possible to keep Tom at Oakwell and have offered him a new contract, which was rejected. "This offer now represents a good deal for both parties and the board of directors would like to reiterate that all funds from this transfer will be invested into the playing squad, in order to seek an immediate replacement." One of those being linked with a move to South Yorkshire is Hannover winger Mike-Steven Bahre. On his compatriot, Winkler added: “I just know that Daniel knows this player, but I don't know what the situation is.